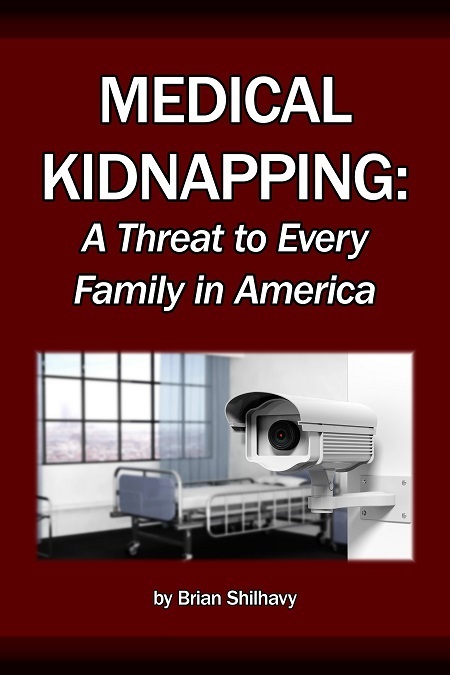 Medical kidnapping has been defined as the State removing a family member from their home for medical kinds of reasons, such as parents asking for a second opinion or disagreeing with a doctor. It is a subset of the larger issue of “State-sponsored kidnapping,” where Child Protective Services seizes custody of children from their families. 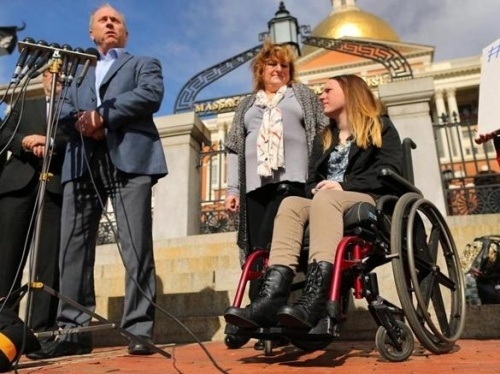 Mr. Pelletier defied an unconstitutional gag order in order to tell the public what was happening to his daughter, and their story made national news as concerned Americans watched in horror to see the tyrannical power of Boston Children’s Hospital and CPS. A doctor at Boston Children’s Hospital was conducting a study on somatoform disorder when Justina came into their emergency room. He disagreed with the diagnosis of mitochondrial disorder by her regular doctors at Tufts Medical Center, saying that Justina actually had the condition for which he needed another subject for his study. Justina Pelletier and her parents. Photo by John Tlumacki/Globe Staff. We know that this is happening all over the country in all 50 states, that children who are designated wards of the state, are having medical research done on them that may not have any direct benefit whatsoever to the child and in Justina’s case she was made paralyzed by this medical research. (See link). 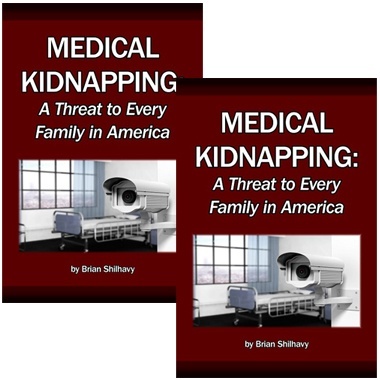 Before Justina’s story captured the (brief) attention of the mainstream media, medical kidnappings had been taking place all over the country for years, with the public remaining unaware of either the possibility of it happening or of the extent to which children were being medically kidnapped under our noses. the Godboldo family of Detroit, where CPS sent a SWAT team in 2011 after a mother who refused to give her daughter dangerous psychotropic drugs. See story here. the Nikolayev family in Sacramento, California, in 2013. The parents wanted a second opinion before allowing surgeons to perform heart surgery on their baby. 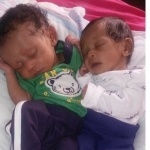 When they took their baby out of the hospital, CPS sent police to their home to seize the baby. See story here. 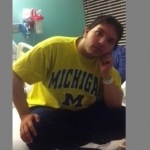 Isaiah Rider, the Missouri teen who had surgery in Chicago. When doctors told them that there was nothing they could do for Isaiah’s pain and seizures, his mother wanted to take him to another hospital. CPS was called and Michelle Rider was kicked out of the hospital. 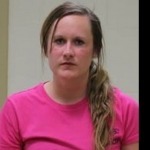 See our extensive coverage of their story here. Many parents tried to speak up, but their voices were silenced by the courts or ignored by mainstream media. There were others who were afraid or ashamed to speak out about their stories. 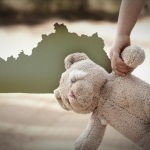 The seizure of children and adults by state agencies remained largely a secret, hidden in the shadows. 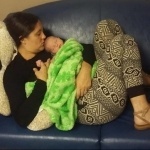 The Pelletiers opened the door to more news coverage of these stories, and MedicalKidnap.com was established as a division of Health Impact News near the end of 2014. We started investigating stories that came to us. We didn’t know if there would be an occasional story to report or a steady stream. One thing is certain: none of us were prepared for the sheer volume of stories that continue to come our way every day. We have reported many hundreds of stories since then. For every story we publish, there are always more that we cannot get to or who choose not to go public with their story. It has been almost 4 years, and it hasn’t stopped. Hardly a day goes by that someone doesn’t contact us, including Christmas, Thanksgiving, and the 4th of July. We quickly learned that some children simply have the misfortune of being diagnosed with the very condition that a doctor at that hospital wants to study for medical research. A child with a rare medical condition can literally be worth millions of dollars to a drug or medical research company. It is irrelevant what the parent has or has not done if the doctor or hospital wants the child badly enough. I originally believed that “medical kidnapping” stories were a small subset of the much larger group of “State-sponsored kidnapping” cases. 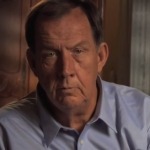 However, almost every story that came to us had some kind of medical element involved, whether it was a disagreement over a treatment plan, desire for a second opinion, a medical condition that mimics abuse, or the drugging of the children after they were placed into foster care. Children in foster care are three times more likely to be prescribed psych drugs, making them a large market for the pharmaceutical industry. The circle of cases that had some type of medical element kept growing wider, the more we investigated. Even so, the high percentage of children in the system who have been labeled as having medical issues surprised me. The percentage of children in foster care with medical issues is stunning. 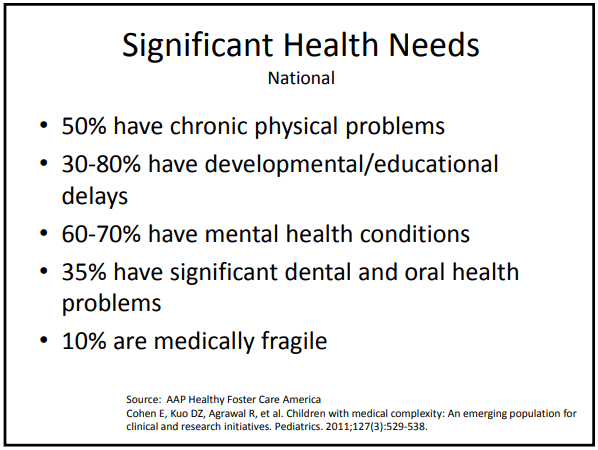 Far more children in the foster care system have medical problems than children who are not in the system. … nearly half of all children in foster care have chronic medical problems, about half of children ages 0-5 years in foster care have developmental delays, and up to 80% of all children in foster care have serious emotional problems. (See link). Several decades of research has firmly established that the health care needs of children in out-of-home care far exceed those of other children living in poverty. (Source). 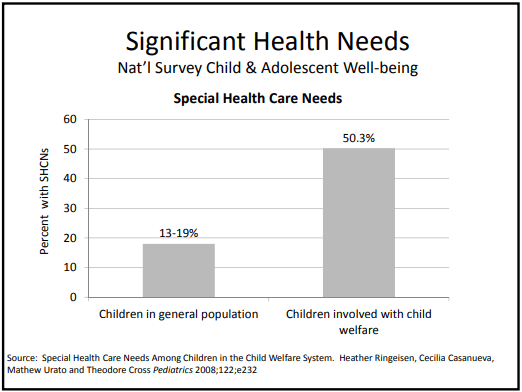 When behavioral, emotional, and developmental concerns are taken into consideration, the estimated proportion of foster children with serious health care needs jumps to over 80%. (Source). Do Children Enter Foster Care with More Problems than Other Kids? Most sources theorize that the reason that children in foster care have more medical and psychological needs than other children is because of the horrors that they experienced at the hands of their biological family before entering the system. If the majority of children in the system had been taken from truly abusive or harmful parents, that would be a logical supposition. However, as we have reported many times, the data is clear that the majority of children in foster care should not have been removed from their families. Less than 16% of the children taken from their families were taken from parents accused of abuse. (Source). Only 17% of all the allegations against parents are substantiated. (Source). There may be a finding of substantiation by a social worker without any actual evidence, the allegation could be based on lies or hearsay, and the finding can happen without any due process at all. There are suggestions in some of the literature regarding child abuse that children who are disabled are more likely to be abused by their parents. In fact, a child abuse policy statement from the American Academy of Pediatrics entitled, “The Evaluation of Suspected Child Physical Abuse,” is one of the main policy documents driving the abduction of children over accusations of “child abuse,” and it identifies pediatric disability as a risk factor for child abuse that all pediatricians should be on alert for. The evidence base for an association of disability with abuse and neglect is weak. (Source). Could there be another explanation for the disproportionately high number of children in foster care needing medical and psychological care? Children in foster care account for a disproportionately high share of Medicaid expenditures when compared to other children in the Medicaid program. For example, although children in foster care represent only 3.7% of the nondisabled children enrolled in Medicaid, they account for 12.3% of total expenditures and 25 to 41% of Medicaid mental health expenditures. In California, for example, Medicaid-eligible children in foster care accounted for 53% of all psychological visits, 47% of psychiatry visits, 43% of the public hospital inpatient hospitalizations, and 27% of all psychiatric inpatient hospitalizations among the program’s entire child population. A Pennsylvania study found that Medicaid mental health-related expenditures for children in foster care are nearly 12 times greater than costs for non-foster children. (Source). If the children have a “condition” and are on medications, the foster parents as well as the local CPS office are entitled to receive more money for having the children in their care. It is a win/win for the drug manufacturers and the foster parents, while the children are the big losers in this scheme, suffering the side effects and numbness of drugs they don’t need. It doesn’t end there for the children who are labeled as having a mental illness by psychiatrists profiting on the backs of the kids while they are working with CPS. Every label creates an interest group that can become a recipient of federal funds. But also, being diagnosed with mental illness can be used as a reason to deny people rights. Dr. Gina Loudon, Ph.D. Photo from Facebook. With the diagnosing psychiatrist holding all the power, people, including children, have been forced into psych wards against their will and force-medicated. Just as social workers and family courts don’t require actual evidence to take children from their families, objective testing and evidence is not required for a psychiatrist to label someone with a mental illness – a label that can follow the child for years, or forever. Unlike other disease models that require evidence to prescribe drugs, mental disorders don’t. What most of us really need aren’t drugs, but faith, family, friends, and a determination to make the most of our unique gifts.